Today we bring you a new update about the status of the Eastern Front mod in Steam. It was a while since the last update, and while we have been busy with our own commitments outside this mod, but we are not dead and we will never be unless you read an announcement from us and you can be sure, if that moment comes you will read about it here firsthand! 1. Why the delay on the Steam version? Besides our other commitments and obligations, we had a problem with our repository and we needed to set up another one, to those unware of that word, it means the place where we used to store the version in development from the mod was nuked so we lost the tool to centralize the changes and to avoid everyone having different changes due to the difficult of merging hundred of files, we stopped development until the server issue was resolved. Of course, since we were already busy to begin with, we delayed some time to set up a new one. 2.- When the Steam version will be released? We had planned to release it near the current date, however, due to the situation mentioned above, the date is uncertain... however, you can be sure it will be released this year. 3. What about the models needed to replace? We aren't finished on that, but we are closing the gap. 4. What has been changed on Eastern Front in all these months then? The changes of the Soviets are subtle compared with the Ostheer ones, because the faction has been worked since long time ago compared to the latter. Soviets don't have new units so far, but they have received a lot of balance changes because of the feedback received in the beta. We'll work on an updated teching system based on the feedback given from the beta players. Furthermore, the incorporation of Strafniki squads will be different from now - instead of being assault rifle infantry with ppd34 they'll receive SVT rifles. There will be further tweaks of how the units are accessible in the future aswell as some unit availability switches. Once the setup is clear we'll give further informations. Right now there's nothing specific. We have removed the Infantry Gruppen post, but some of their units were put back in the remaining buildings. We are also considering how to improve the current gameplay with Ostheer, due to their use of pool based assets according to the feedback received from the beta players. The new building, the Luftwaffe Divisions Quarter, has six plane-based abilities to support the Ostheer commander being half of them reserved to support pool and the other half for assault pool. Some of these abilities are from the Support Army Troops tree, which means we would have to replace them. The plan we have right now(remember it is not final), is to add one of the reward command trees to replace the Support Army Troops one, and we are discussing about which will be. 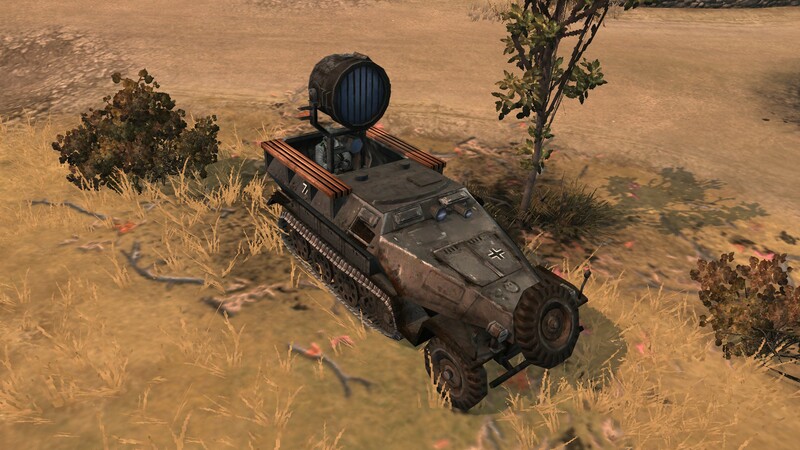 The Sdkfz. 251/20 (known as uhu or eagle owl), which was already announced a while ago. The Sdkfz. 251/2 which carries a 81mm mortar. 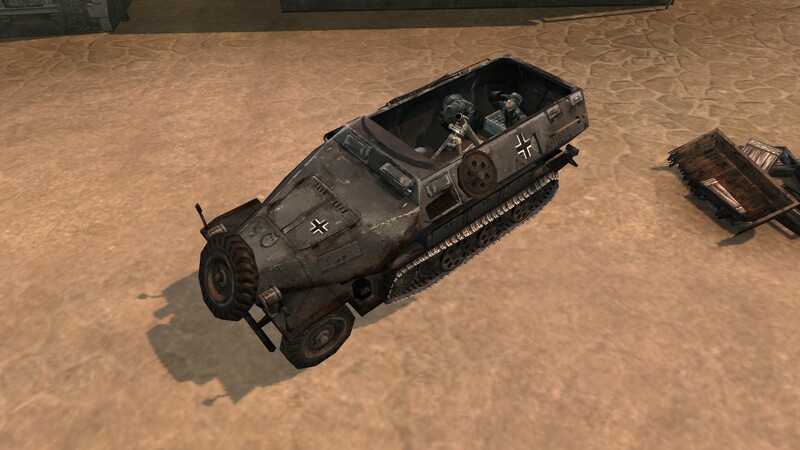 The Sdkfz. 251/22 (nicknamed Pakwagen) which is equipped with a 75mm Pak 40 and a rear machine gunner. The Sdkfz. 251/9 (nicknamed Stummel) which is equipped with a 75mm L/24 low velocity gun and a rear machine gunner. The first three are going to be upgrades from the regular halftrack and we are planning to use the last one as call-in, although it is still WIP. Furthermore, the pools no longer unlock units and the amount of total units has been reduced to streamline the faction and distinguish each unit from each other. Infantry units receive tweaks to their gear to fit them into their roles better aswell as making them more versatile in the course of the match. The upgrades are connected to Assault and Support pools. 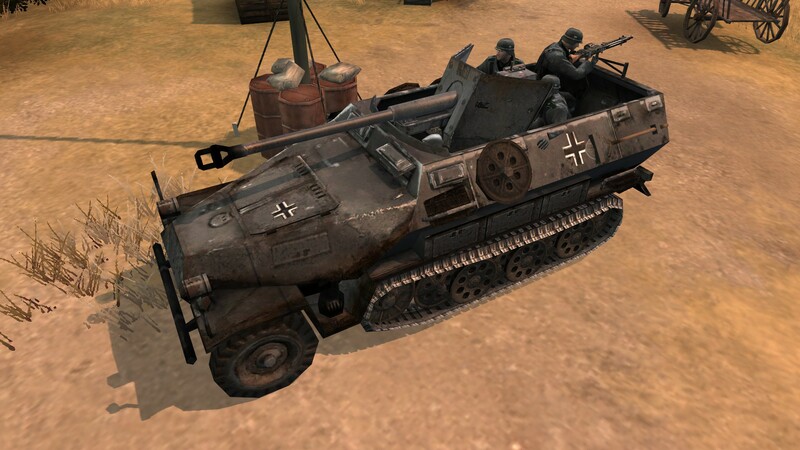 For example, Landsers when played in assault pool can upgrade MP40, while in Support Pool they get access to light MG34. Similar adjustments are made for all infantry units available to the Ostheer. Another unit type that is heavily affected by the pools are now vehicles. 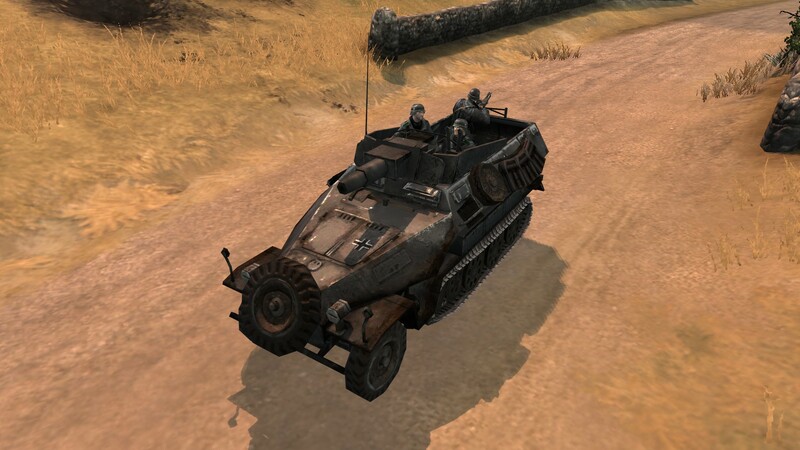 The gunner/driver/commander vet system is tweaked, it no longer grants skirts or mg gunners to vehicles. Instead, each tank (StuG III, Panzer III, Panzer IV) receives the option to either upgrade Armour Skirts (Assault Pool) or Periscopes (with Support Pool) which give larger vision and weapon range to the vehicle. MG34 turret gunners are always available to the Ostheer commander. Regarding the AI of the mod, Robotnik made tweaks so they tech faster the higher the difficulty. They also make better unit and upgrade purchasing decisions the higher the difficulty. This would be all for this announcement, but if you have a doubt we can try to answer it in the comment section. As soon as we have all the details ready for both factions, we will let you know about it! Good to (finally) see an update! As to the whole 'other commitments' part... I get that too - I'm currently a full-time student. I'm just lucky that I'm studying a relevant field ("Interactive Digital Media"), and can get -some- progress done as part of said course. I am certain you guys know what you are doing and you got my full support ^^ I am just so happy to see that you guys are alive and the mod is still alive. Yep, we're still 'live and kickin'. Good to see that we still have some of our (older) trusted fans around. Will install company of heroes again in very near future. Nice to hear an update. Will these changes be in the current EF Steam Beta Version? I really want to restart my work as Balancer since all of us stopped more or less working. can i hope to play with the Stürmtiger in the next update ? Sturmtiger is part of a wehramcht reward doctrine that revolves around city warfare. Urban Combat.